• Signature of Issuing Bank officials on the L/C and verify with the specimen signatures book of the said bank after receiving L/C. • If the export L/C is intended to be an operative cable L/C, Test Code on the L/C invariably must be agreed and authenticated by two authorized officers. • L/C should be scrutinized thoroughly complying with the basics of concerned UCPDC provisions. • Entry should be made in the L/C Advising Register. • L/C advised to the Beneficiary (Exporter) promptly and advising charges recovered. Here the seller presents the documents to the nominated bank and the bank scrutinizes the documents. If satisfied, the nominated bank makes payment to the beneficiary. Settlement by Acceptance: Under this arrangement, the seller submits the documents of the shipment to the accepting bank (nominated by the issuing bank for acceptance) accompanied by draft drawn on the bank at the specified tenor. After being satisfied with the documents, the bank accepts the documents, draft and at maturity the repayment will be obtained in the pre-agreed manner. Settlement by Negotiation: This settlement procedure starts with the submission of documents by the seller to the negotiating bank. After scrutinizing the documents the negotiating bank sends the documents to the issuing bank as usual; reimbursement will be obtained in the pre-agreed manner. (i) Cancel L/C based upon instructions from applicant and agreement from beneficiary. Bank charges are collected. (ii) Cancel L/C with remaining small outstanding balance from L/C negotiation(s). (iii) Cancel before L/C expiry date. (iv) Cancel L/C due to error correction. The error correction cancellation can only be performed if the L/C is a recently issued L/C (L/C on the same day), and has no negotiations/ drawings yet. (b) Able to refund cash margin deposit and credit customer’s current account at time of on-line cancellation. System shall prompt a message to inform the users, if there is any outstanding L/C margin deposit pending refund to the customer. (c) To update credit line utilization and reinstate unutilized credit balance after approval of L/C cancellation. (d) To automatically default / calculate charges as stated in the ‘Charges’ section, at selling exchange rate (if applicable). (e) To debit customer’s current account for the charges (if any). (f) To automatically generate GL entries for reversals of liabilities, charges, refund margin deposit and payments, as stated in the ‘GL Entries’ section. ICB Islamic bank Limited charges Tk 500 /- for cancellation of L/C. (a) Set the outstanding balance of L/C to zero and status of L/C as ‘closed’ in L/C master record. (b) To update credit line utilization and reinstate unutilized credit balance upon L/C cancellation. (c) To automatically generate GL entries for reversals of liabilities as stated in ‘GL Entries’ section. (d) Create a history or record for each L/C cancellation performed by system. (e) Report the auto-canceled L/C in the Daily Transaction/Activity List. (a) of UCPDC 500, An Irrevocable Credit constitutes a definite undertaking of the issuing Bank, provided that the stipulated documents comply with the terms and conditions of the credit. Adding Confirmation: The confirming bank does the job of adding Confirmation. Confirming bank is a bank that adds its confirmation to the credit and it is done at the request of the issuing bank. The advising bank usually does not do it if there is not a prior arrangement with the issuing bank. By being involved as a confirming agent the advising bank undertakes the power to negotiate beneficiary’s bill without recourse to him. o Issue L/C and request to add confirmation. o Review the L/C terms. o Provide reimbursement. o Drafts to be drawn on L/C opening bank. o Availability of credit facilities. o Line allocation from the business and ownership units in the importer’s country. o Confirm and advise L/C. Practically by the term Export we mean carrying out of anything from one country to another. As banker, we define export as sending of visible things outside the country for sale. Export Trade plays a vital role in the development process of an economy. With the earnings from export we meet up out import bills. Although export trade is always encouraged, any body cannot export anything to any place. Like importer the exporters are also required to get them registered before entering into export trade. Export Registration Certificate (ERC) given by CCI & E is required for this purpose. The required documents to obtain ERC are also same as IRC. When a bank (Authorized dealer) receives a L/C (cable or original) it ascertains the correctness of the test number and the authorized signature. Then the bank sends the original copy of the L/C to the beneficiary. The exporter presents the relative documents to the negotiating bank after the shipment of the goods. The L/C issuing bank undertakes to honor obligation only if the beneficiary fulfills the conditions stipulated in the L/C, May namely, the submission of stipulated documents within the stipulated time. Even a slide deviation of the documents from specified in the L/C may give an excuse to the negotiating bank. So the negotiating bank must be careful, promote, systematic and bias-free while scrutinizing the tender documents. After careful and through examination of the documents, the banker has to list out the discrepancies which may be classified as major or minor, irremovable or removable. The removable discrepancies can be corrected by future losses, which may arise due to non-repatriation of proceeds. Export Formalities: • Procedure for registration of Exporter; • Book and register ledger required for export; • Export L/C checking and advising; • Formalities of back to back L/C opening; • Accounting of back to back L/C; • B.B Bill checking/ Lodgment; • Mechanism of acceptance; • Pre-shipment financing; • Export document checking and negotiation under reserve / collection basis; • Calculation of offering sheet for fund disbursement system; • Proceeds realization correspondents; • Formalities of back to back payment system; • Payment from Bai-Muajjal Inv. bill A/C (if export fails); • Substitute benefit realization / collection system; • EXP form reporting to Bangladesh bank; • Disposal of EXP form; • Export incentives; • Disputes and settlement of export claim. Preparation of export documents: For obtaining export registration certificate (ERC) from the CCI & E, the following documents are required: • Application form; • Nationality certificate; • Partnership deed (registered); • Memorandum & Articles of Association and incorporation certificate; • Bank certificate; • Income tax certificate; • Valid trade license; • Copy of rent receipt of the business firm; • Fees paid treasury challans. Checking and advising of Export L/C: On receipt of Export L/C it has to be recorded in the banks inward register and then the signature on the L/C or test number for telex L/C is to be verified by an authorized officer of a bank and finally it is to be forwarded to the beneficiary under forwarding schedule. Back – to – back L/C is a secondary L/C, opened by the advising Bank in favor of a domestic / foreign supplier on the basis of an export L/C. Back – to – back L/C is opened for procuring raw materials / finished goods for execution of shipment order. The beneficiary of back –to – back L/C is generally paid on negotiation of the final documents submitted by the exporter. Although BBLC is normally opened at nil margin but Brach may ask for margin and collateral security or new clients or special cases. The following points will be considered for allowing BBLC- • Only recognized units of readymade garments, specialized Textiles under bonded warehouse system will be extended BBLC facility. Therefore, Branch must satisfy that the client has a valid bonded warehouse license. • The genuineness of the export L/C must be valid with the advising bank. • The validity of the export L/C will be for a reasonable time so that after receiving of goods under BBLC, it may be processed / manufactured comfortably keeping in view the validity of shipment period of muster L/C and production capacity of the factory. • The value addition by the exporter will be at least 80% of the net FOB value of the export L/C (in some cases 75% are also allowed, subject to Bangladesh bank restrictions). FOB value is calculated by deducting freight charges, insurance, commission involved in shipment of the merchandise under the export L/C. • The import L/C will be opened on issuance basis covering issuance of not more than 180 days or as prescribe by Bangladesh bank from time to time. • Interest on issuance period shall not exceed LIBOR or the prevailing rate of interest of supplier’s country or as may be prescribed by Bangladesh bank from time to time. • All amendments of the export L/C should be noted down carefully to rule out the change of excess L/C obligation under import L/C. • Opening of import L/C against export L/C under Barter should not be allowed without prior permission of head office. • In cases, where pre – shipment inspection certificate is required, internationally recognized agencies should be nominated by name to carry out the pre – shipment inspection and the same should be stipulated in the L/C, as on the clause of the L/C. In ICBIBL, papers/documents required for submission for opening of back-to-back L/C: • Master L/C. • Valid Import Registration Certificate (IRC) & Export Registration Certificate (ERC). • L/C application & LCA Form duly filled and signed. • Pro-forma Invoice or Indent. • Insurance Cover Note with money receipt. • IMP Form duly signed. • Full particulars of bank account. • Balance sheet. • Statement of assets and liabilities. • Trade license. • Valid bonded ware house license. • Membership certificate. • Income tax declaration. • Memorandum of articles. • Partnership deeds. • Resolution. • Photographs (all directors). On receipt of above documents and papers the back to back L/C opening section will prepare a credit report. Branch must obtain sanction from head office for opening BB L/C. Bank will supply the following papers / documents for opening back to back L/C- • L/C application form; • LCA form; • IMP form; • Murabaha Agreement / Musharaka Agreement; • Bai – muazzal Agreement; • Charge document. The above paper must be completed and signed by the party and will signature will be verified. For opening L/C, the client is to submit an application in the printed format to the designated bank which also works as an agreement between the importer and the bank. The form is to be stamped under the stamp act as adapted in Bangladesh. The importer must submit the LCAF, IMP Insurance Cover Note and indent / contract / purchase order / pro-forma invoice (duly accepted by the importer) or more whenever required. The L/C application must be completed / filled in and signed by the authorized person of the importer giving the following particulars – • Full name and address of the suppliers or beneficiary or importer; • Brief description of the goods; • L/C amount (CFR value) which must not exceed the LCAF value; • The unit price, quantity, quality of the goods; • Origin of the goods, port of loading, and destination port must be mentioned. • Mode of shipment; • Last date of shipment and negotiation time; • Insurance cover note number and name of the company; • Tenor of draft; • Mode of advising L/C; • Whether shipment / transshipment is allowed; • Instruction to add confirmation if required; • LCAF number; • Export L/C number and date; • Any other relevant information and instructions if any must be mentioned in the L/C application form. Procedure: An exporter desires to have an import L/C limit under back to back arrangement, must apply to designated bank in prescribed forms to authorize opening of back to back L/C. In that case the following information is to be furnished by the applicant- • Full particulars of bank account. • Type of business, in case of limited company, balance sheet of last three years and the name of directors. • Historical background. • Amount of limit required. • Terms of payments. • Goods to be imported. • Security to be offered. • Repayment schedule and source of fund. • Other liabilities of the customer with the bank. • Statement of assets and liabilities. • Trade license. • Membership certificate. • Income tax declaration with TIN. • Memorandum of articles. • Registered partnership deed (if partnership firm) • Resolution. • Photographs (all directors). On receipt of above particulars and papers, the back to back L/C opening section of the bank will prepare a credit report of the concerned importer/ exporter. The report should be collected from their previous bank if any. Banks prepares a credit report in prescribed forms. Sometime information is gathered by deputing marketing officers or credit officers.On receipt of above information, the designated branch must obtain a sanction from Head office for opening back to back L/C. In all cases the authorization must be informed to the importer for acceptance. On receiving confirmation from the client that the terms and conditions of the sanctioned are acceptable, the subsequent documentation / charge documents are taken up. • Issuing bank is not reputed. • Advising Credit by the advising bank without authentication. • Port of destination absent. • Nomination of specific Shipping/Airline or nomination of specified vessel by subsequent amendment. • B/L to blank endorse, to third bank, to be endorsed to buyer or third party. • No specific reimbursing clause. • UCP clause not mentioned. • Shipment / presentation period is not sufficient. • Original document to be sent to buyer or nominated agent. • FCR or HAWB consigned to applicant or buyer. • “Shippers’ Load and Count is acceptable”. • L/C shall expire in the country of the issuing bank. After realization of master L/C payment, L/C payment may be made. Generally payment is given after issuance period. So, BB L/C amount for payment is kept on a head named sundry account FCBPAR. After issuance period, payment is given from sundry account FCBPAR. When payment is given, reverse the contra voucher. Banker’s Liability on L/C BTB Credit: Customer’s Liability on L/C BTB Bank will earn acceptance charge for BB L/C, such as- Income account acceptance charge on BTB is – = 0.60% on foreign BTB L/C amount. = 0.50% on local BTB L/C amount. If payment is given after issuance period, interest will be accrued on a LIBOR rate. So, after issuance period BTB L/C amount plus interest on the basis of LIBOR rate have to be paid to the beneficiary bank. Local BTB L/C payment is given to the beneficiary’s bank by issuing demand draft / pay order in favor of them. In case of back to back as 60-90-120-180 days of maturity period, deferred payment is made. Payment is given after realizing export proceeds from the L/C issuing bank. Negotiating of local back-to-back Letter of Credit: ICBIBL negotiates local BTB L/C and make payment to the party after realization. After dispatching of goods to the buyer, seller comes to the bank with proper evidence of dispatching. If documents are in order then ICBIBL, Kill, put LDBC (Local Bill for Collection) and number from LDBC register and Lit at the same time by giving entry on the LDBC register. Then, these documents are sent to the opening bank of BTB L/C for making payment in favor of ICBIBL. After issuance period, the opening bank is supposed to make payment. If they delay payment, negotiating bank sends a reminder letter to them for realizing payment of BTB L/C. If party needs immediate payment, then ICBIBL purchases these documents and gives LDBP seal and number from LDBP register and gives entry on the resister. At that time, full amount of the Local BTB L/C is not paid to the party. It is taken some amount for margin. So, margin is BTB L/C amount-amount paid to entitle party. Margin is kept for adjusting interest on LDBP. Here, bank earns commission. After realizing the BTB L/C bills, interest is calculated on basis of amount paid. Interest is calculated from the date of amount paid to entitle party before realizing date. Interest is deducted from the margin amount and the rest of the margin amount is credit to the party account. Advising of local back-to-back Letter of Credit: ICBIBL advises document of local BTB L/C and charge is Tk 500/- 4.9 FDBC (Foreign Document Bill for Collection): It is one kind of BTB L/C. here the government organization such as electrics board, T&T etc. get L/C from foreign country as aid for buying their accessories. In this case, after supplying title goods to the title government organization, party comes to ICBIBL, with evidence of dispatching goods and request for realizing payment of this L/C. Then, bank gives LFDBC seal and number from the register on the documents and makes entry on title resister. These documents are sent to the foreign bank that is authorized for payment. After realizing payment, party is supposed to take their payment. Bank can purchase these documents as LDBP. But, here it will be LFDBP (Local Foreign Document Bills Purchase). Procedure for FDBP: After purchasing the documents, ICBIBL gives the following entries: FDBP A/c Dr. Customer A/c Cr. (Before realization of proceeds) Head Office A/c Dr. FDBP A/c Cr. (Adjustment after realization of proceeds). An FDBP Register is maintained for recording all the particulars. 4.10 Foreign Exchange Remittance: With the word remittance we understand sending/ transferring fund through a bank from one place to another place, which may be within the country or between two countries, one within two different countries is called Foreign Remittance. “Foreign Remittance” means purchase and sale easily convertible foreign currencies as acceptable under “Foreign Exchange Regulations Act-1947” and “Guidelines for Foreign Exchange Transaction – VOL. 1&2 of the country. Purchase of foreign currencies constitutes inward foreign remittance and sale of foreign currencies constitutes out ward foreign remittance. So, we see that there are two types of Foreign Remittance: 1. Foreign inward remittance. 2. Foreign outward remittance. 1. Most outward remittances are approved by the ADs on behalf of the Bangladesh Bank following declaration of Taka as convertible for current accounts payment from March 1994. Only a few remittances of special nature require Bangladesh Bank’s prior approval. • Party is given the cash or his account is credited. Travelers Cheque (TC) Traveler’s cheques are used for the facility of meeting expenses of the travelers visiting abroad, minimizing the risk of carrying cash (currency notes). These are drawn on easily convertible currencies such as U.S Dollar / Pound / Sterling for fixed denominations, which can be converted into local currency at running rate of exchange. The purchaser puts his signature at the place provided for the purpose while purchasing the same and again signs at title prescribed place in the presence of the paying banker while converting into cash. If both the signature agrees, he gets payment in local currency. Issue of Traveler’s cheque: Requirements There are some requirements, which are to be fulfilled by the purchaser of traveler’s cheque. • Passport holder himself has to be present at the time of issuing traveler’s cheque. • The passport must be valid one. • Air ticket has to be confirmed. • After verifying all these documents the customer is asked to fill up prescribed application form. • In the application the customer states willing the amount to endorse and it is verified that his required amount is within the stipulated amount. • Then by paying cash or by crediting his account the traveler’s cheque is issued. • Endorsement is given on the passport and on the ticket. Customers fill up the Traveler and Miscellaneous form. • Purchase Application form is handed over to the purchaser along with the traveler’s cheque. • Entry given in three registers, foreign currency issue resister, and traveler’s cheque on hand register and foreign currency in hand resister. Payment of traveler’s cheque: When a customer wants to encase his traveler’s cheque he / she has to show his / her passport and it has to be verified from the passport that he / she has traveled outside the country. • Then the traveler’s cheque will have to be scrutinized very strictly. • If every thing in the traveler’s cheque is in order then the customer will be asked to give his signature on the place of customer signature. • If the signature agrees with the one in the place of “The signature of the holder” then the payments will be made through giving cash to the customer or crediting his account. F.C Deposit (WES fund held account) F.C voucher Dr IB General A/C H.O. ID Cr Party’s A/C, Taka voucher Dr WES fund purchased A/C Cr (Inward Remittance) For TT: IB General A/C H.O. ID, at national rate Dr F.C Deposit (WES fund held account) Cr WES fund purchased A/C Tk @ TT clean rate Dr Party’s A/C Cr Commission A/C Cr Govt. Tax A/C (if the remittance is indenting commission @ 0.15%) Cr Commission and other charges for different remittances • Issuance for TT abroad: commission Tk 500 per TT, plus telex charge at actual • Cancellation of TT: telex charge at actual, plus commission Tk 200/- • Issuance of FDD: Upto US$ 200.00 or equivalent Foreign Currency Tk 500/- Above US$ 200.00 or equivalent Foreign Currency Tk 1000/- • Issuance of : cash dollar is charged Tk 250/- and Travelers’ cheque Tk 200/- 4.11 Different Foreign Currency Account There are some accounts where customers can deposit and withdraw foreign currency – • FC (Foreign Currency) account: Exporters or importers for the purpose of their business may open it. • RFCD (Resident Foreign Currency Deposit): Any person of our country who is working and staying in abroad can open it. • NFCD (Non- Resident Foreign Currency Deposit): Travelers or visitors who are traveling in other countries may open it. ICB Islamic Bank Limited has diversified activities in retail banking, corporate banking and international trade. From the very beginning it has obtained a solid foundation in respect of foreign trade. ICB Islamic Bank Limited has established a modern dealing opportunity for foreign trade and money management. 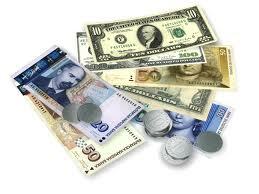 It has handful number of authorized branches for dealing with foreign exchange business. SWIFT has already been introduced and installed at 9 A.D branches to speed up international transactions and it will be installed at all the A.D branches of the bank shortly. Five years progress of ICBIBL at a glance: Particulars 2000 2001 2002 2003 2004 Authorized Capital 600.00 600.00 600.00 600.00 600.00 Paid-up Capital 259.5 259.5 259.5 519,106 519,106 Reserve Fund 60.1 79.8 79.8 79.8 79.8 Deposits 10,736.4 14,262.8 15,836.5 20,231.38 24,047.60 Investments 8,111.0 9,293.4 11,703.8 15,796.50 17,247.47 Gross Income 1,037.5 1,259.9 913.30 1,580.0 3,108.11 gross Expenditure 961.9 1,161.1 1,523.1 1,974.0 3,357.91 Net Profit/ Loss 75.6 98.8 (609.8) (393.4) (249.8) Reserve fund 60.0 79.8 79.8 79.8 79.8 Foreign Exchange Business 7,966.0 8,582.9 9,032.2 17,317.36 18,981.0 Number of Employees 637 638 645 692 679 Number of Branches 34 34 34 34 31 Number of shareholders 2427 2503 3012 3109 3064 No. of Foreign Correspondent 125 126 133 154 157 Deposit Position The deposit base of the Bank continues to register steady growth and stood at Tk. 24,048 million as on December 31, 2004 against Tk. 20,231 million of preceding year. The increase is 18.87 percent. Deposits mix i.e. time deposits and demand deposits of the Bank have also improved. The time deposits stood at 92.46 percent and demand deposits stood at 7.54 percent during the year 2004. The cost of fund also came-down from 9.11 percent in 2003 to 8.36 percent in 2004. Figure: Growth of Deposit The Bank has, in the meantime, introduced the following deposit schemes to encourage and mobilize the deposits as well as for the welfare of the people. These deposit schemes have been appreciated by the general people and have received huge response. • Monthly profit on MTD Scheme • Marriage Savings Scheme • Higher Education Savings Scheme • Savings Scheme of Children • Future Deposit Savings Scheme(5 years) • Future Deposit Savings Scheme (10 years) • Hajj Deposit Savings Scheme • Housing Savings Scheme • Privileged Citizen Scheme • 07(seven) years double growth Scheme for the citizens of Bangladesh. Investment Total investment of the Bank reached at Tk. 17.247.00 million in 2004, in comparison to the total investment of Tk. 15,797.00million of preceding year, a growth of 9.17 percent which signifies the confidence of the clients on the Bank. Figure: Growth of Investment Total classified investment as on 31.12.2004 stands at Tk. 4,209.31 million [24.40% of total investment], which was 24.01% in the preceding year. The management is expecting to reduce the classified investment to a satisfactory level gradually by giving special attention and vigorous efforts in this regard being taken by the Head Office Recovery and Monitoring Task Force and branch management. The recovery activities of the Bank have been accelerated by the Management to reduce the size of classified investment. Foreign Remittance Business: To earn foreign currencies for the country from remittance of the Bangladesh Expatriates living abroad, we have agency arrangement with number of Exchange houses and Banks covering the globe. The inward remittance in 2004 was BDT 2.269 Billion and BDT 1.860 Billion in 2003. This growth has been possible due to concerted efforts of the authorities to facilitate inward remittance and expeditious local delivery of the remittance to the beneficiaries. Besides new drawing arrangements between Banks in Bangladesh with exchange houses/Banks abroad also encourage to increase foreign remittance through banking channels. Figure: Growth of Foreign Exchange SI. NO. PARTICULARS 2007 2006 1 Paid-up Capital 519,106,000 519,106,000 2 Total Capital 648,623,675 648,623,675 3 Capital Surplus/ (Deficit) (8,311,832,948) (7,025,406,356) 4 Total Asset 20,598,535,617 18,779,574,321 5 Total Deposit 17,194,223,583 20,610,355,247 6 Total Investment 15,230,899,734 17,113,312,973 7 Total Contingent Liabilities 5,722,650,060 6,563,391,395 8 Credit Deposit Ratio % 89.10% 83.03% 9 Ratio of Classified Investment to Total Investment % 70.83% 85.82% 10 Profit / Loss before Tax and Provision 610,881,840 (1,134,503,879) 11 Amount of Classified Loan during the current year 785,954,000 5,686,902,947 12 Provision kept against classified investments 19,389,375 19,389,375 13 Provision surplus / deficit (8,394,956,250) (6,572,164,625) 14 Profit Interest earning Assets 15,370,335,398 17,234,980,988 15 Profit Interest non-earning Assets 5,228,199,769 1,544,593,332 16 Return on Investment ROI 96% (675) 17 Return on Asset ROA 2.97% (23) 18 Income from investment in Share – – 19 Earning per Share 1,177 (8,230) 20 Net income per Share 1,177 (8,300) 21 Price Earning Ratio Time 0.79 (0.11) Source: Annual Report 2007 Comparison of Total Income and Expenditure In 2003 the income was 84 million and the expenditure was 309 million, where as in 2004 the income was 64 million and the expenditure was 318 million. In 2005 the income was in negative figure 140 million and the expenditure was 432. In 2006 the rate of income of the company fell drastically, however, the rate of expenses kept a similar track with the previous annual expenses, which resulted in a drastic situation where crucial steps were needed to be initiated as a bail out plan. Bangladesh bank came to rescue and evidently took full authority and ownership of the bank to ensure stability. In 2007 income was raised in negative figure 79 million and expenditure was 266 million. Comparison of Total Deposit and Investment In 2003 the deposit was 20,231 million where as investment was 15,796 million. In 2004 deposit was 24,048 million and investment was 17,247 million. In 2006 deposit was 20,610 against 20,237 million in previous year and investment was 17,113 million against 18,032 million. In 2007 the deposit stands at 20,600 million and investment was 15,321 million. Though the deposit of 2005 falls compared to 2004 but in each of these years the investment and the deposit kept quite a close pace between itself.